Dino De Laurentiis formed a production company and produced renowned Italian films central to the new wave, including movies by Federico Fellini in collaboration with Carlo Ponti. He created Dinocotta, a film studio used for John Huston's classic The Bible (1960), and soon thereafter moved to the U.S. for what became one of the most successful and longest producing careers in Hollywood. In the 1970s and 1980s he produced films such as Serpico, Barbarella, Three Days of the Condor, King Kong, Flash Gordon and The Bounty, Dune, Blue Velvet, and masterminded the first of the Hannibal Lecter films. 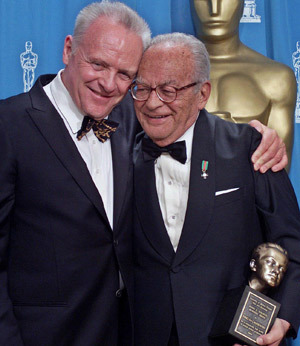 An extraordinary icon of Italian cinema, Dino De Laurentiis either financed, produced or distributed over 600 movies, nominated for 30 Oscars, and entered his seventh industry decade in the new millennium. His biopic of Alexander the Great is being directed by Baz Luhrmann of Moulin Rouge oscar winning achievement. DeLaurentiis was 91 when he passed, believing that to feel young, you must work as long as you can. The DeLaurentiis family is a legacy in Hollywood that continues to make some of the best films ever produced.